Whether you want to add a pop of bright hues or some subdued tones for that understated elegance, you will be surprised at the great selection of colours available for blinds. Take a photo of your home exterior and work with an expert at Hunter Canvas to get professional advice on colour options. Did you know that shutters don’t necessarily need to hang vertically. 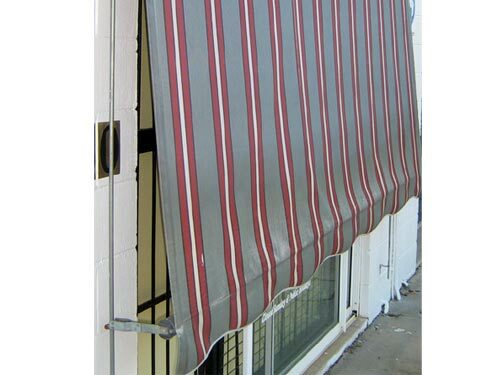 It can also work as an adjustable awning, which means you can better fine tune it to suit your needs. It will give you the right amount of light without creating a solid barrier. There are fixed and adjustable versions you can consider, depending on your preference and requirements. If you are looking for a solution for direct sunlight, shade blinds can provide the perfect solution. This is because shade blinds can cut the UV rays without blocking your view. It is a perfect addition to gazebos, patios and pergolas. If you add something fancy, you can look into automatic mechanisms as well as those that come with light sensors that automatically adjust the blinds. Take time to explore your options and check out the wide variety of designs available at Hunter Canvas. You will be pleasantly surprised at the different designs, and modern features available in the market today.